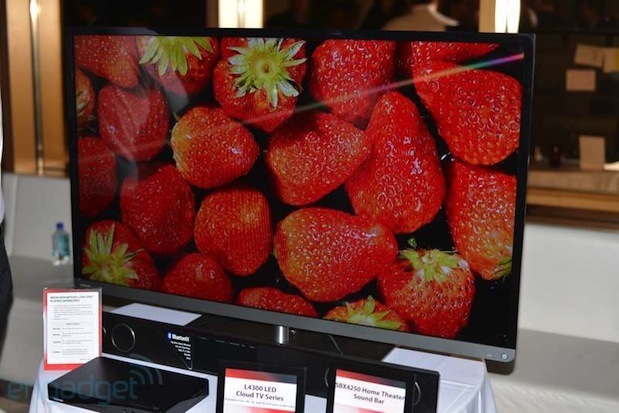 As you may have guessed by scanning our CES 2013 coverage, HDTV -- particularly of the Ultra HD variety -- was kind of a big deal at this year's show. In fact, UHDTV's omnipresence fanned so much reader interest this year that we penned a feature article to put the whole phenomenon into perspective. While that makes for a lively discussion, none of the 4K sets announced at the show are shipping yet, and the few from last year that are available might cost as much as a new car -- or two. To that end, let's head after the break to see all the new TVs, set-top devices, Blu-ray players and the like presented at CES -- including a few you may actually be able to afford. 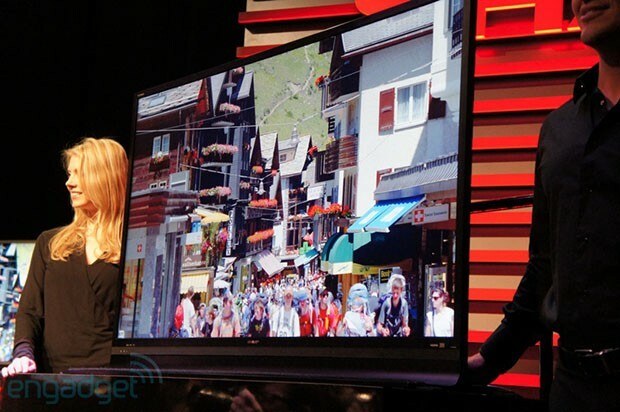 LG kicked off the proceedings at CES this year, and its HDTV story resembled War and Peace with a bevy of new products. Some of those were "wowza"-inducing offerings, like the curved, 55-inch EA9800 OLED model with no price or delivery announced, or the 100-inch Hecto laser-TV projector -- with the latter having an actual March US arrival date and expected pricetag around $10,000. Other concrete announcements included a new lineup of five Google TVs, an updated Magic Remote and the fact that all of its LCDs now use LED lighting technology. 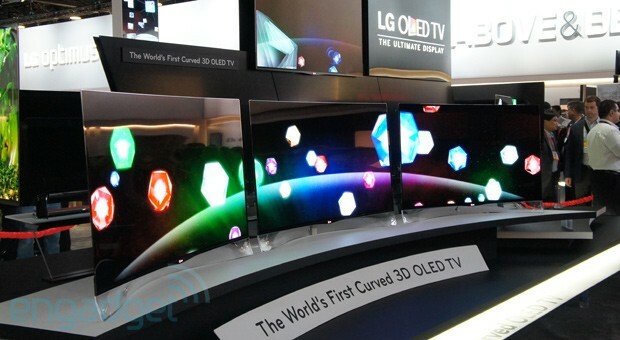 In other words, LG used CES 2013 as its personal HDTV news and information center. Sharp announced a meaty lineup of 18 new LED TVs in its 6-, 7- and 8-Series -- 60-, 70- and 80-inch models, respectively. Many won't make your wallet cry, either, with the entry-level 60-inch 2D LC-60LE650 starting at around $1,500, though the high-end LC-80LE857 hits a budget-stretching $6,500. Most of the models will arrive as early as February, for those looking to get a new set soon -- but those with denser pixel ambitions can dream about Sharp's upcoming AQUOS Ultra HD model, with pricing and availability to come. Toshiba's L9300 is the latest entry in the 84-inch 4K lottery (like the one you'll have to win to buy one), but it said that a pair of 55-inch and 65-inch models will also tag along this summer. Hopefully the latter two will be closer to the means of the average person, but Toshiba did announce plenty of LED 1080P models, including the L7300 and L4300 Cloud TVs that you'll likely be able to afford when they come out this summer, along with the Toshiba Media Box with Blu-ray for content. 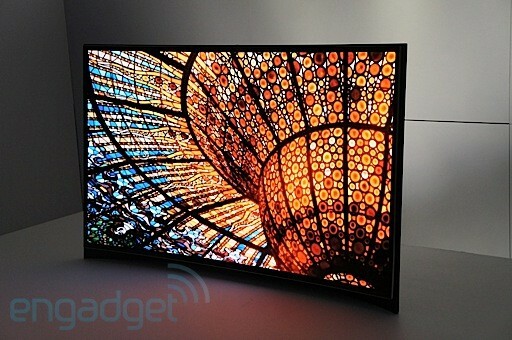 Panasonic's HDTV coup de grace for CES 2013 was without doubt its 4K OLED prototype, with a level of detail, quality (and thinness) we've never beheld before. However, the company also announced 16 plasma displays, showing that it remains committed to a format we love. 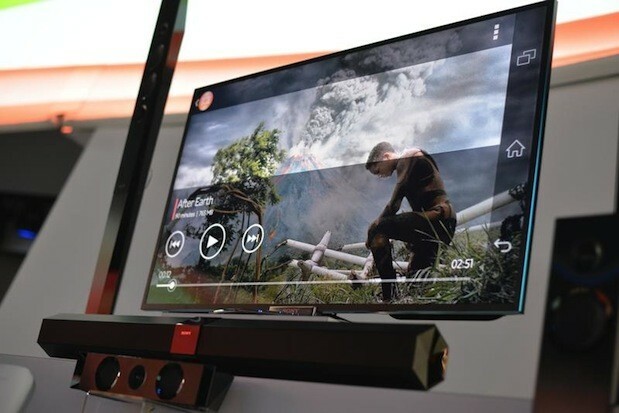 On top of that, it will release 16 new sub-55-inch LED TVs, many with its Viera Connect Smart TV options and Swipe & Share smart pen. Rounding off its CES entries were a variety of Blu-ray players, media streamers, home theater systems and -- dare we count it in the HDTV roundup? 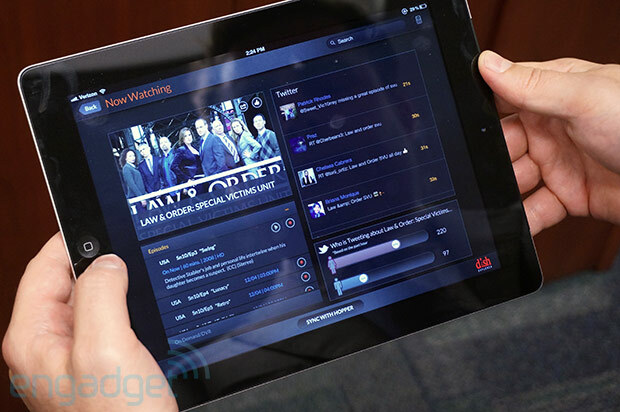 -- a gasp-inducing 4K tablet prototype. Joining others in displaying mouth-watering future tech along with market-ready products, Samsung teased its own version of curved OLED technology. The outfit said its entry will offer a more realistic, eye-pleasing experience, without mentioning price or availability. It also showed off its upcoming OLED 3D model that will let two people watch two different things at the same time, saying it would arrive in July -- but again declining to announce a price. Back in reality, Samsung announced the F8500 plasma series in 51-, 60- and 64-inch sizes and F7500 and F8000 LED models ranging from 46 to 75 inches. All of these will have Samsung's AllShare DLNA and S-Recommendation, and higher-end models will pack a new A15 quad-core CPU to bring more snap to Smart TV functions. Sony's 84-inch XBR 4K LED TV from last year blew us away with its amazing picture and even more amazing $25K price tag, and this year it announced new 55- and 65-inch models arriving in the spring, which also impressed us. 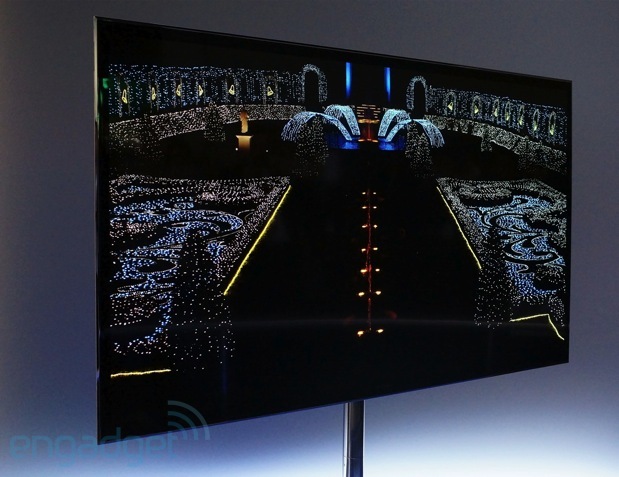 We're not sure whether or not they will fall in the four-figure range, but we're fairly certain Sony's 56-inch 4K OLED will fall outside that range when it hits stores. Otherwise, Sony showed off the BDP-S5100 Blu-ray home theater system with One-touch technology, along with the SideView second screen tablet app, an upcoming 4K digital distribution network to get, you know, actual content to Ultra HD screens and a new 4K mastering method for upcoming Blu-ray discs. Vizio joined the UHDTV throng in announcing its own 55-, 65- and 70-inch models coming this year, saying it would bring the 4k joy to mainstream consumers. 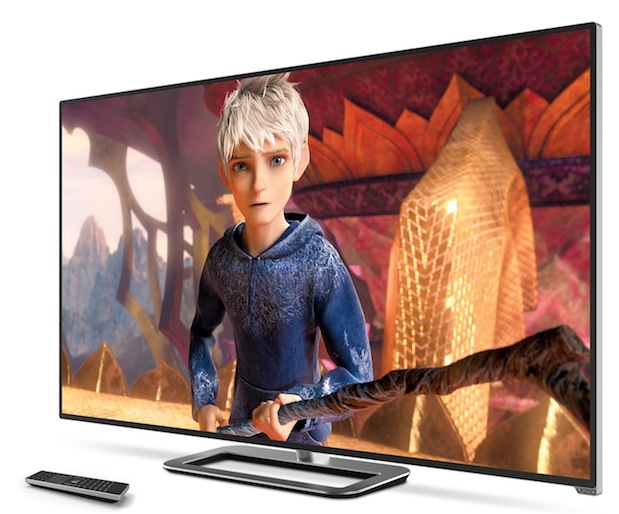 We'll have to wait for pricing to see what it thinks "mainstream" customers can afford, but the company will definitely be bringing other affordable HDTV sets later this year with the M-Series. Those will include "Theater 3D" models ranging from 50 to 80 inches and $850 to $4,500 or so, along with models sans that feature topping out at 47-inches and a very egalitarian $700. The best of the rest of the displays included a new HDTV projector from Epson at a tempting $900 price point, 3M's 84-inch projected capacitive display and a new lineup of 4K Roku-ready screens from Westinghouse, including a built-to-order model that will cost $300k. Yes, that Westinghouse. Stream TV showed glasses-free 3D (again), this time at 4K, while Broadcom said its new 5G WiFi chips would be installed in upcoming LG models. Finally, new content options arrived from Netflix and Redbox, and we were smitten by Dish Explorer's second-screen solution. So, while you're sorting out all these options, we're going to need a couple of days to recover from it all -- maybe plopped down in front of a nice HDTV set, checking out some NFL playoffs.